True or not, vinegar has found its way into the crosshairs of the growing trade war between the US and China. In the most recent round of tariff proposals, which were originally set at 10% but are now 25%, the US added HTS code 2209 – which covers all vinegars – to the list of Chinese goods to be hit with duties, likely in September. As a distributor and reseller of vinegars from mainland China, I will be forced to pass on the 25% increase since like all food, margins aren’t that high. 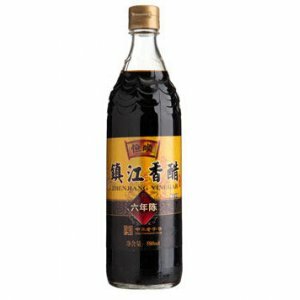 Vinegars such as various Chinkiang (Zhenjiang) brands, Shanxi vinegar, etc. will all be affected. Hong Kong origin vinegars like Koon Chun, will not. In announcing its retaliation this week, China added vinegar from the US to its 25% duty list though statistics show we only shipped them $300k of vinegar last year so it is only a token gesture. China has an old and diverse vinegar culture and has not traditionally imported much besides specialty vinegars such as balsamic. On a side note, the breadth of the tariffs mean Asian groceries and Chinese restaurants in the US may see some impact. Not only vinegar but soy sauce, condiments, seafood, and many other things are on the new list. The Chinese restaurants I think will get off relatively easily. Except for the seafood, which is often imported by Chinese food wholesalers, and maybe Asian vegetables they buy a lot domestically. Sauce packets and fortune cookies are made in the USA and most meats can be sourced easily locally. Also, even seafood often comes from places like Vietnam now and the wholesalers will probably substitute accordingly to save costs. HK brands are also not under the tariffs. Chinese retail consumers will probably be hit though since buying their favorite brands from China will incur a 25% markup. Unless they are willing to use Hong Kong, Taiwan, Japan, or South Korea origin equivalents, they could see a large increase in their grocery bill (or just cut back).